This bridge was constructed around 1880 and had to be reconstructed in 2003 after a fire. 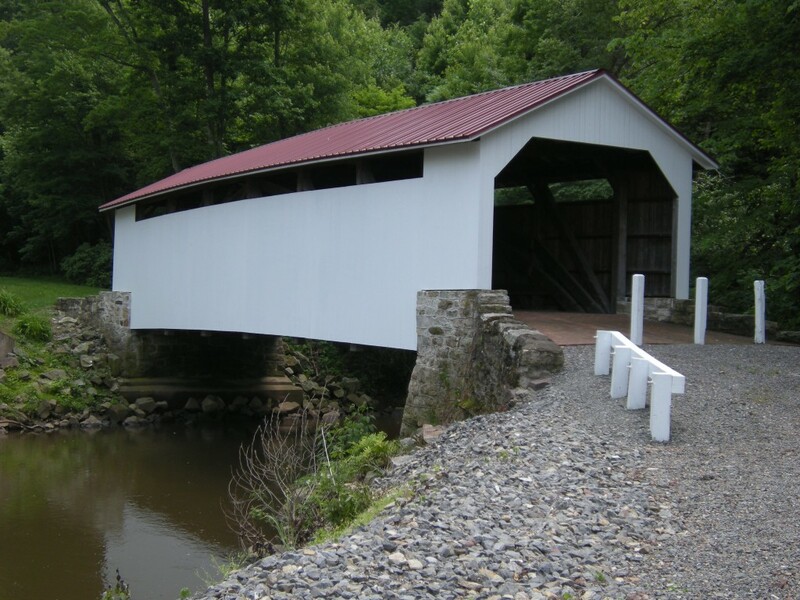 It’s located in Dauphin county, Pennsylvania, and is the last covered bridge in the county that is standing in it’s original location. It spans the Wiconisco Creek, and has a Burr arch truss as it’s structural support system. 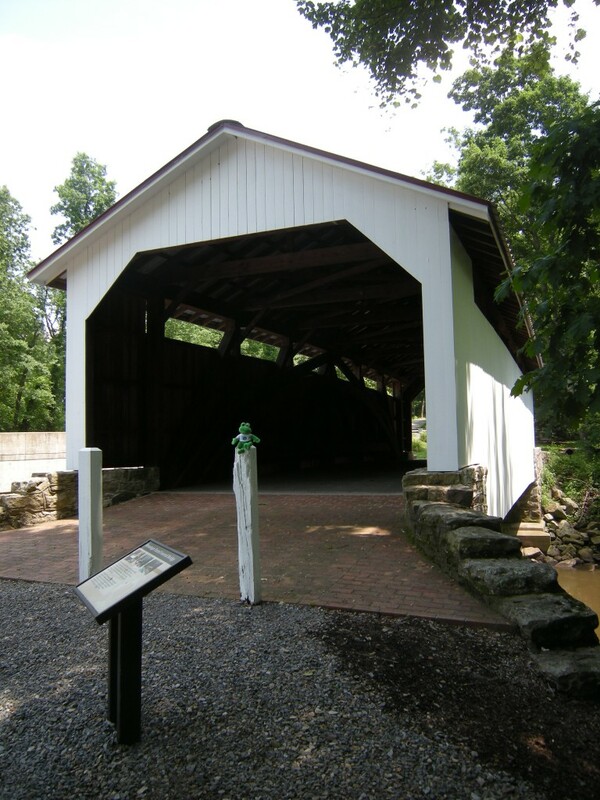 In the 1970′s, there were five other covered bridges on the same creek, and nine total covered bridges in the county. All but three of the county bridges were destroyed by the Agnes flood in 1927. 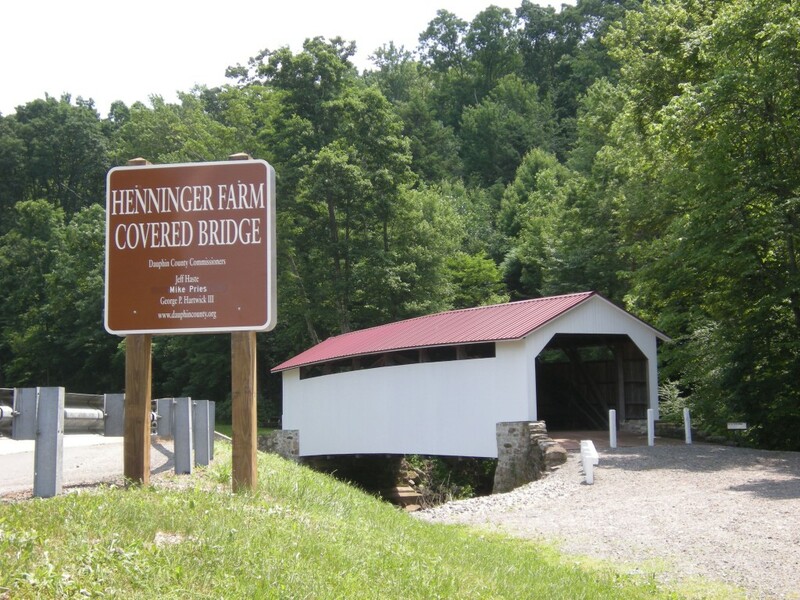 In 1978, the Henninger Farm Covered Bridge was placed on the National Register of Historic Places. 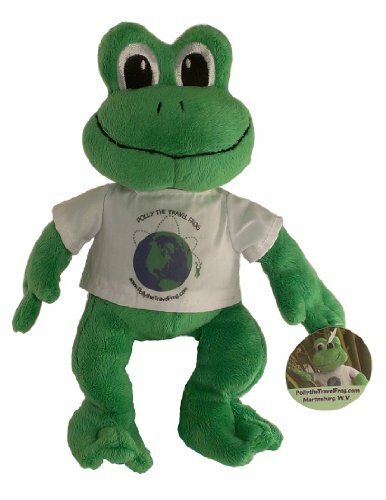 Can you spot the good looking frog in this picture? I sat down for a little rest after hopping all the way across the bridge. Great post! I love covered bridges and this one is quite unique because it’s painted white. It seems like so many of the other ones I’ve seen are red. I’m a big covered bridge fan, and this is a nice one! 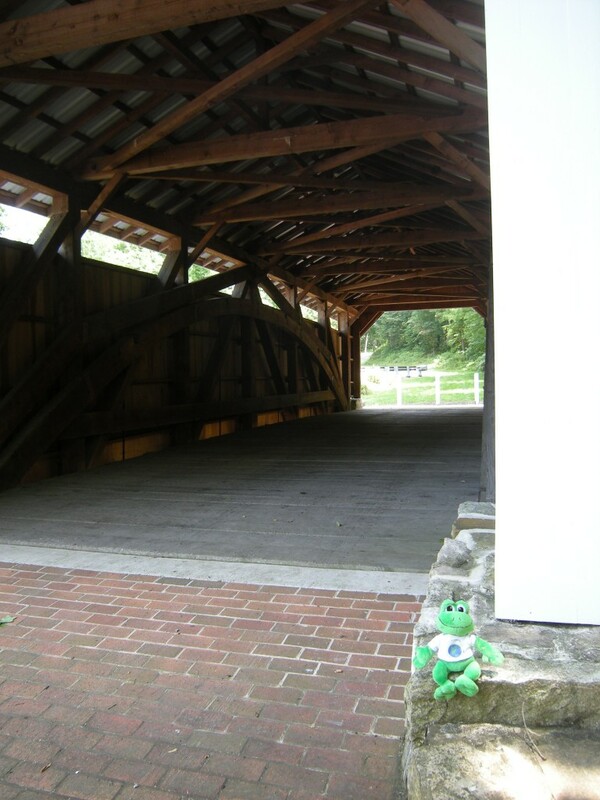 I like covered bridges too. I’ve enjoyed all of the posts about them on your site. This one is especially nice.